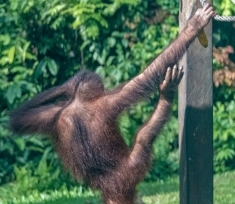 As we waited in the sun, the small crowd began to grow antsy, scanning the trees for a sign. Finally, leaves began to rustle, and we collectively held our breath. Then a flash of reddish-gold was spotted between the green jungle leaves. 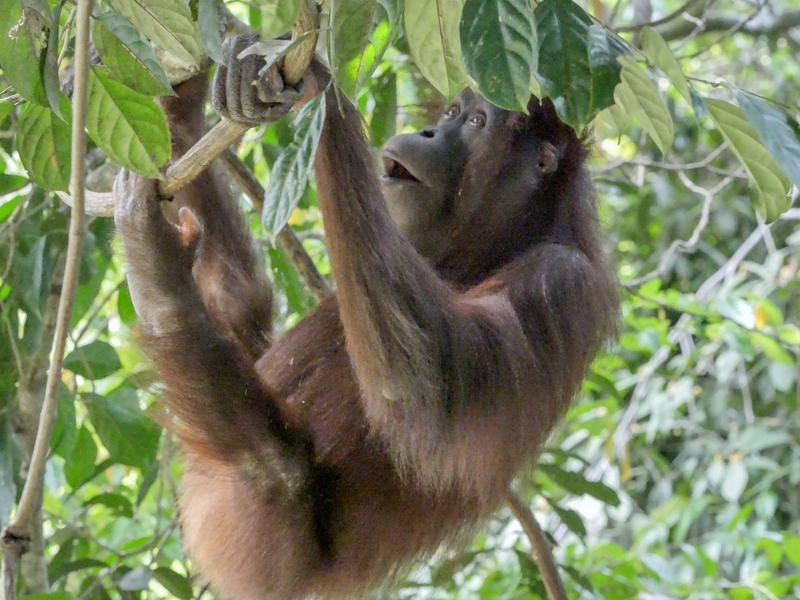 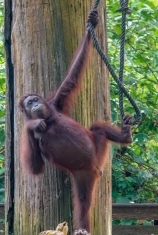 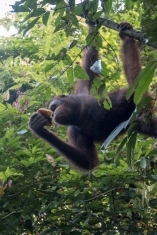 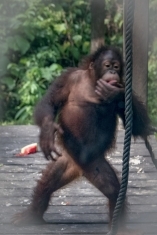 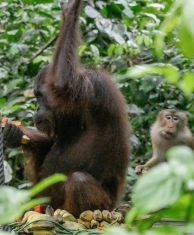 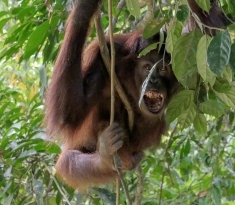 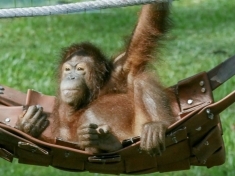 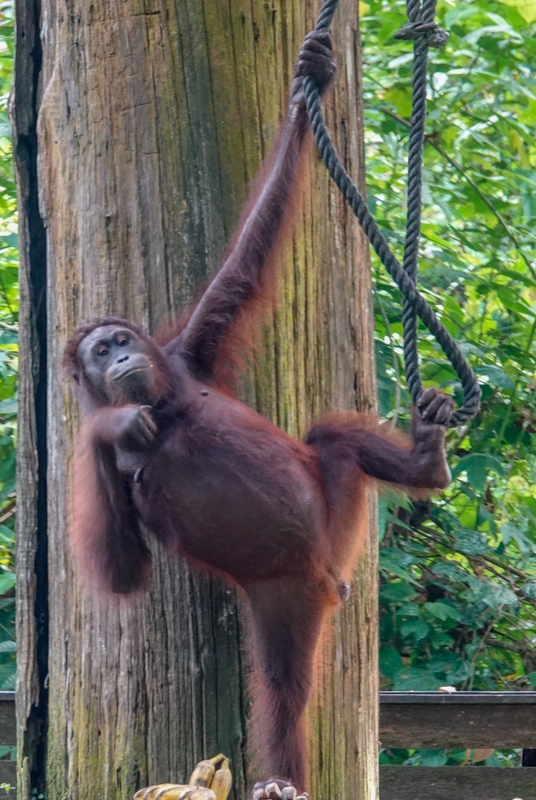 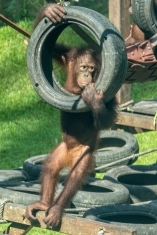 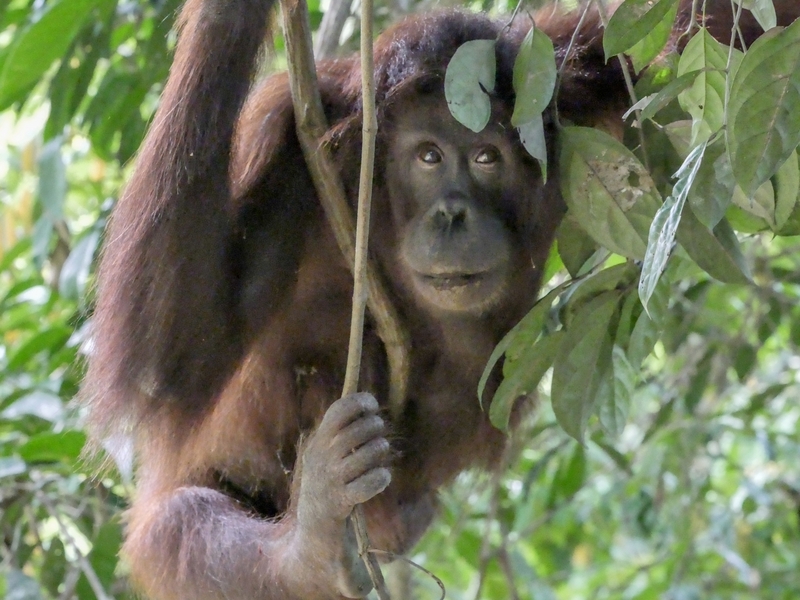 Finally, the ropes giving easy access to the feeding station, began to wobble and our first orangutan appeared. 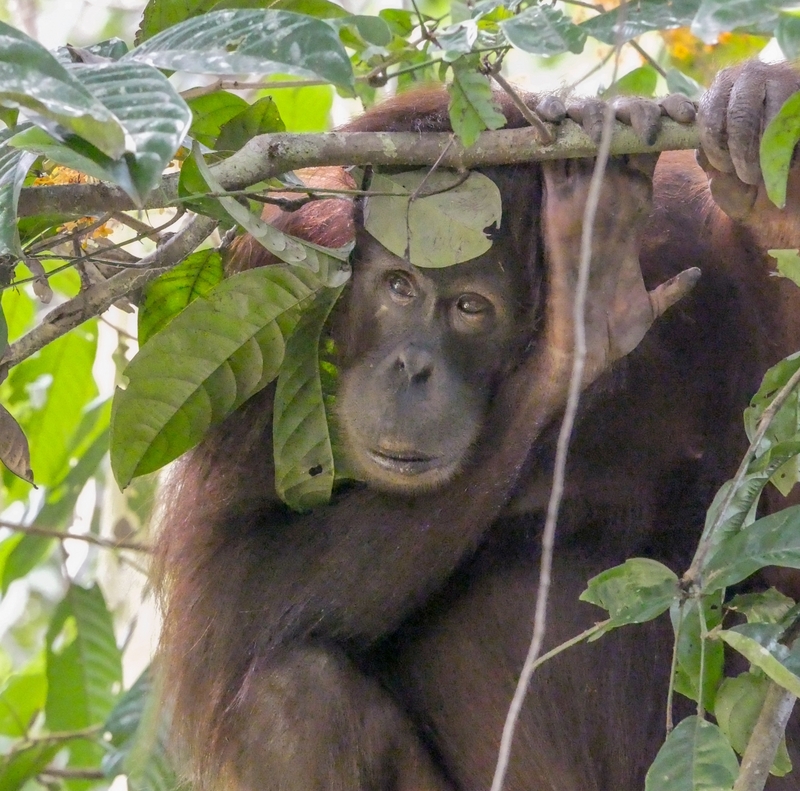 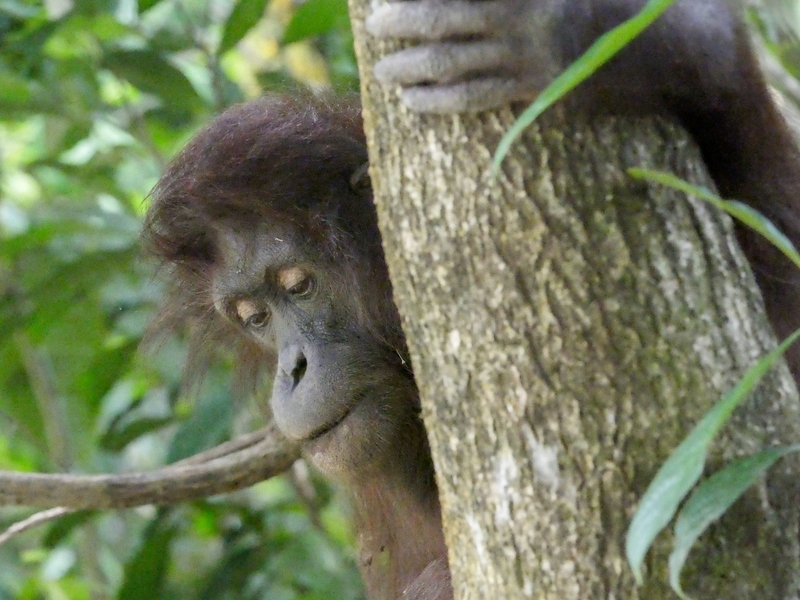 It wasn’t long before more leaves began to rustle and we were joined by three more orangutans. 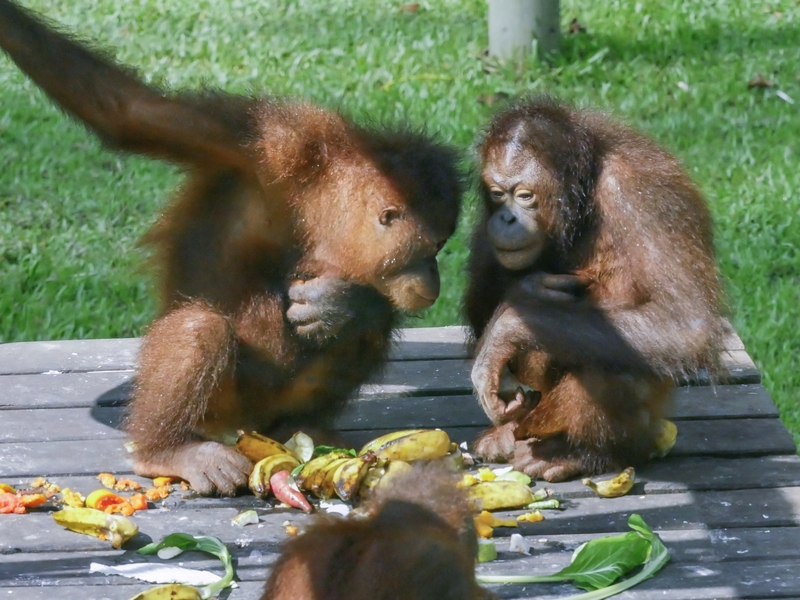 They ate and played and relaxed, and we stood in awe, with cameras snapping. 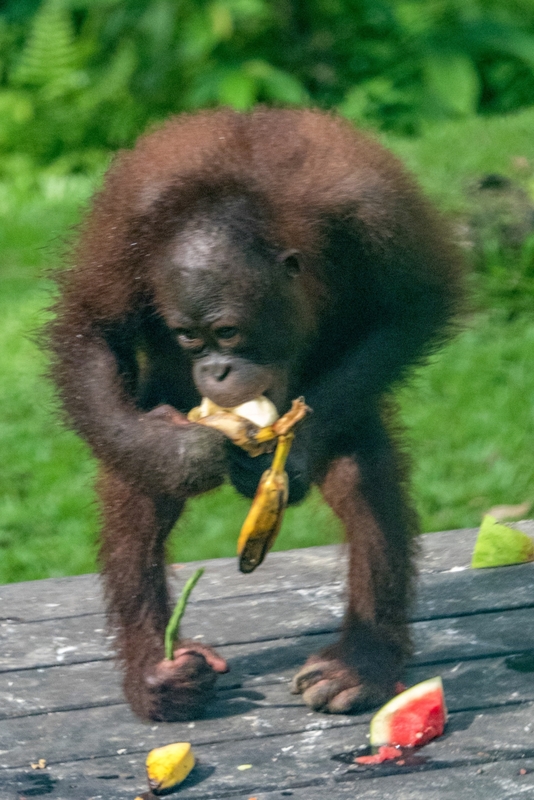 Delicately, and without a second glance at her audience, she settled herself on the platform and began to eat her lunch of banana, papaya, bamboo shoots and watermelon. 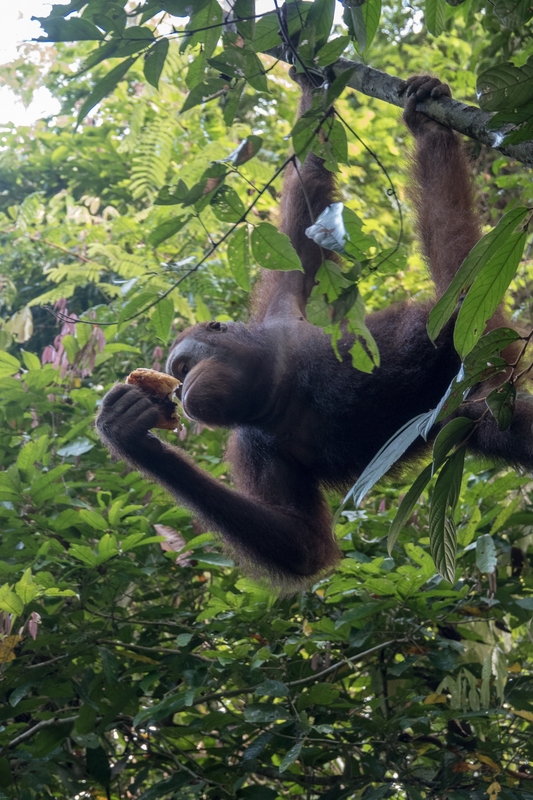 Watching her nimble fingers pick over the ripe fruits and the expression of pleasure passing her face, it was impossible to deny how closely related we are to these creatures. 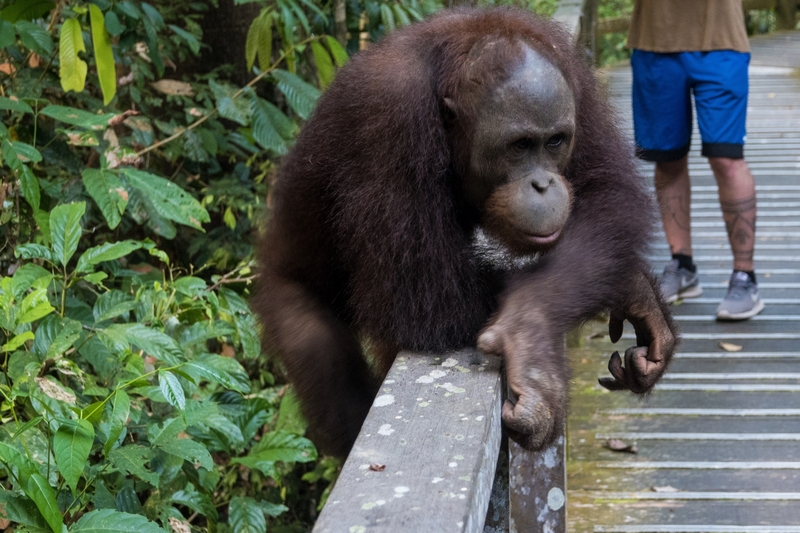 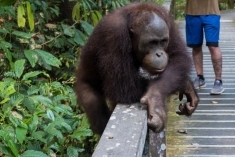 On another day we were walking on the edge of Sepilok National Forest where we met Wilma. A ranger, who came along at just the right moment, explained that Wilma was 10 years old and was 3 months into her 9 month pregnancy. 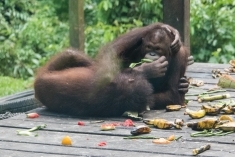 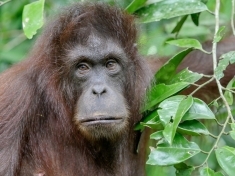 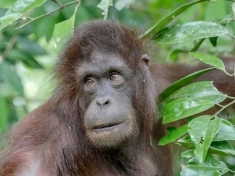 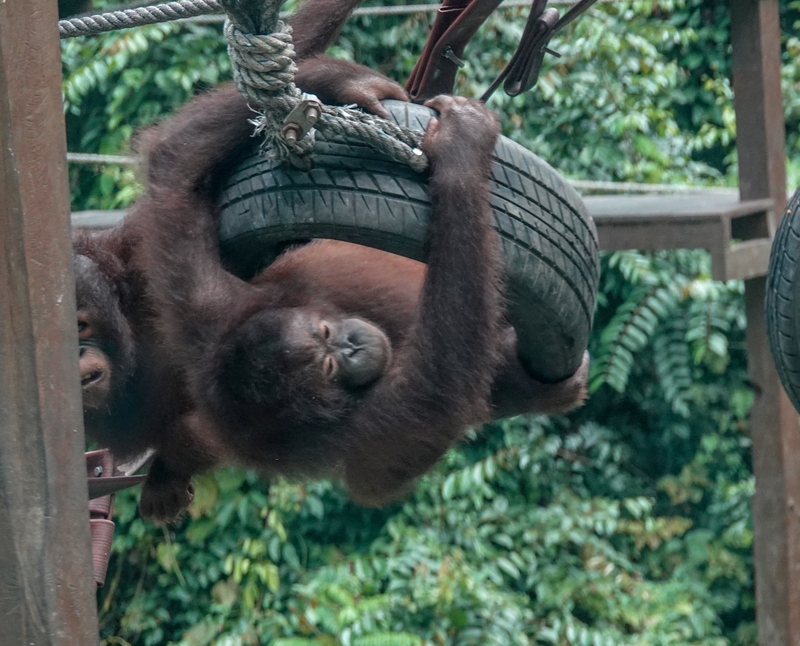 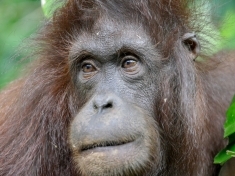 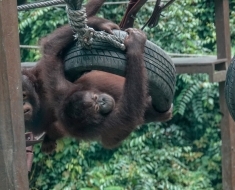 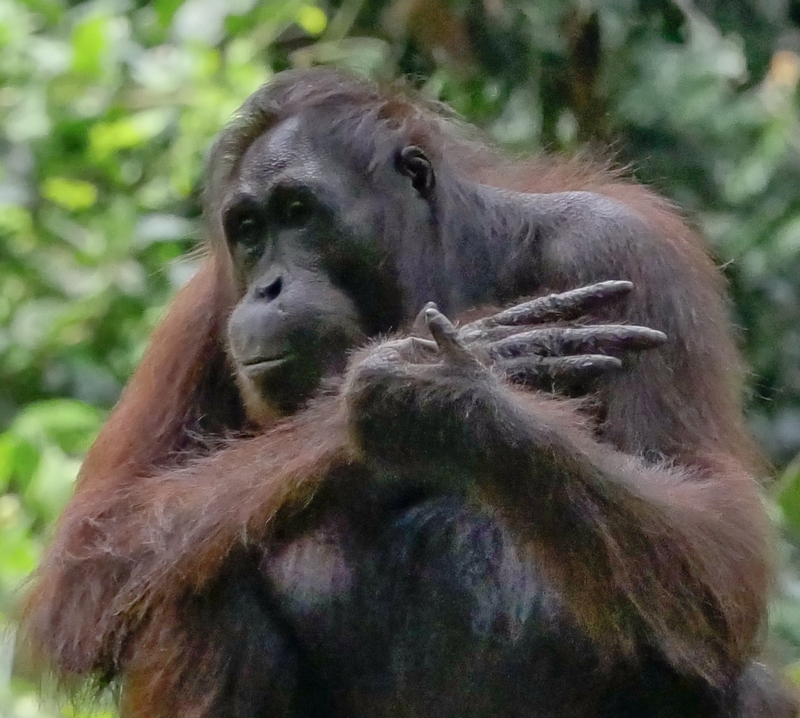 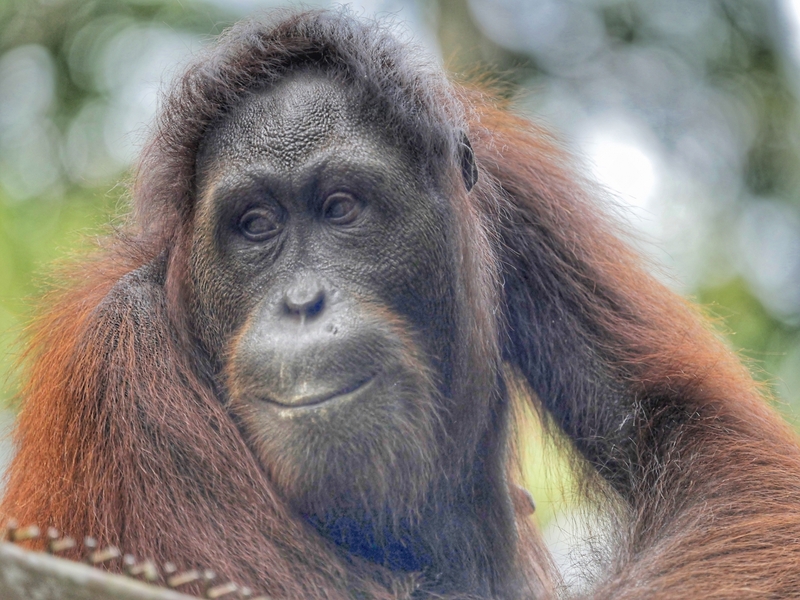 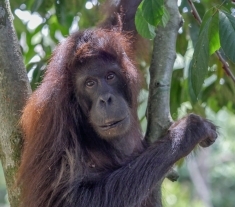 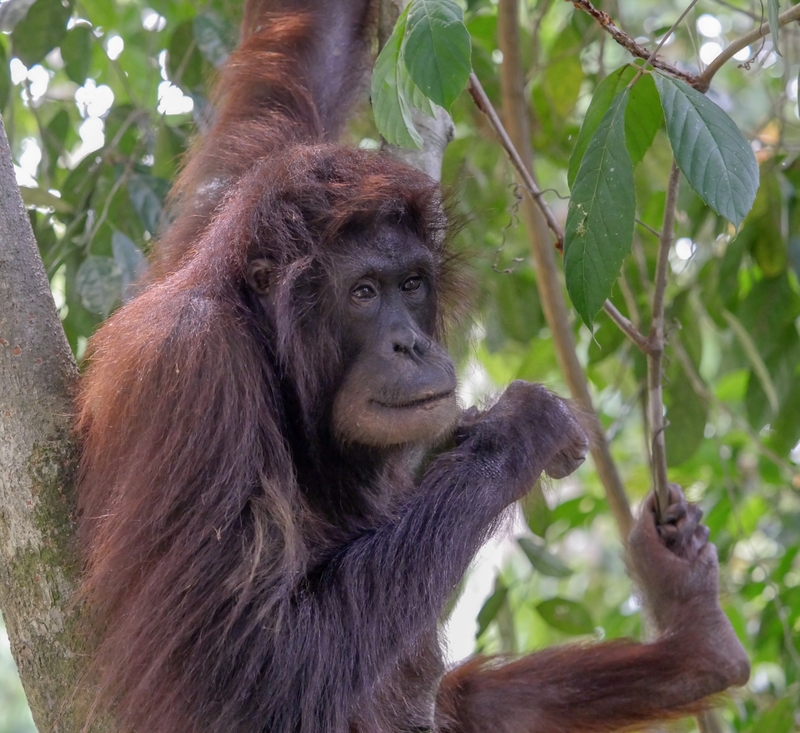 She had a miscarriage last year, and the rangers noticed she is moving with much more care this time around and has moved away from the hustle of the primary orangutan troop. We hung out with Wilma for nearly an hour. 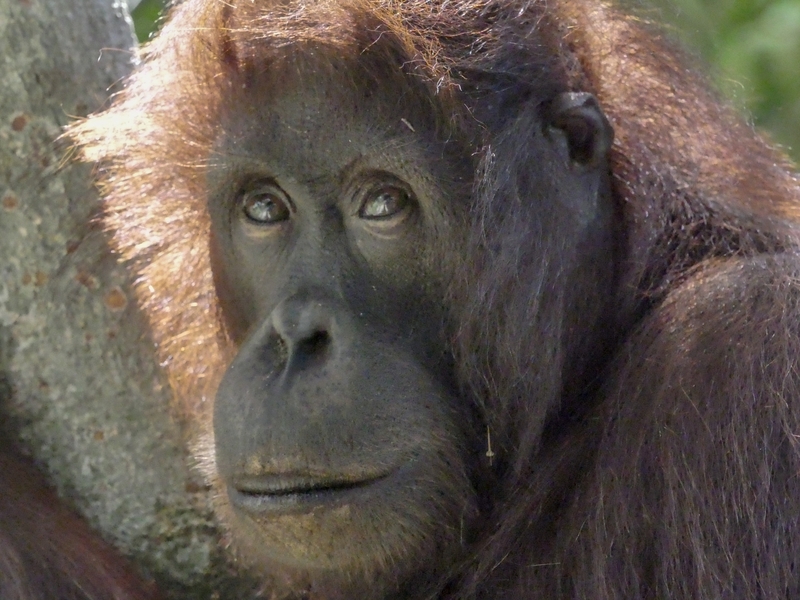 She ventured closer and closer — attracted by David’s eyes. It was like meeting an old friend, I hope she has a happy and healthy family. 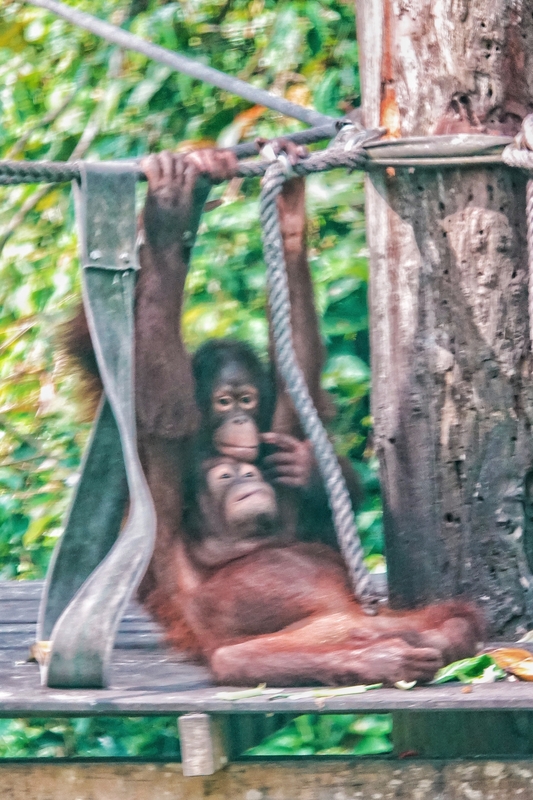 If you love feeling the awe of the animal kingdom and enjoy seeing creatures in their natural habitat, don’t miss a visit to Sepilok Orangutan Rehabilitation Centre. 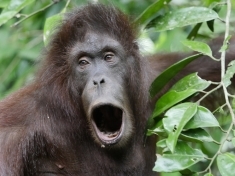 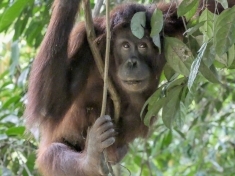 It is one of the very few places in this world where you can see the large and mighty orangutans living in the semi-wild. 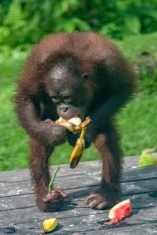 Sepilok Rehabilitation Center opened in 1964, to take in injured and orphaned orangutans whose mothers have been killed by logging or poachers. 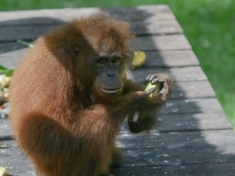 Some have also been rescued from people who were illegally keeping them as pets. 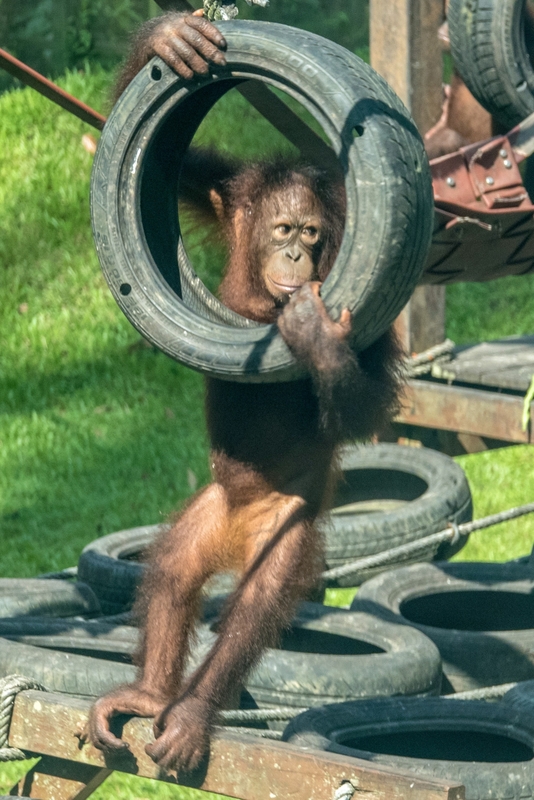 Rescued orang-utan usually need to be nursed back to health at the centre, before trained wardens teach them how to climb trees, find food and fend for themselves in the wild. 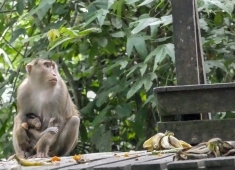 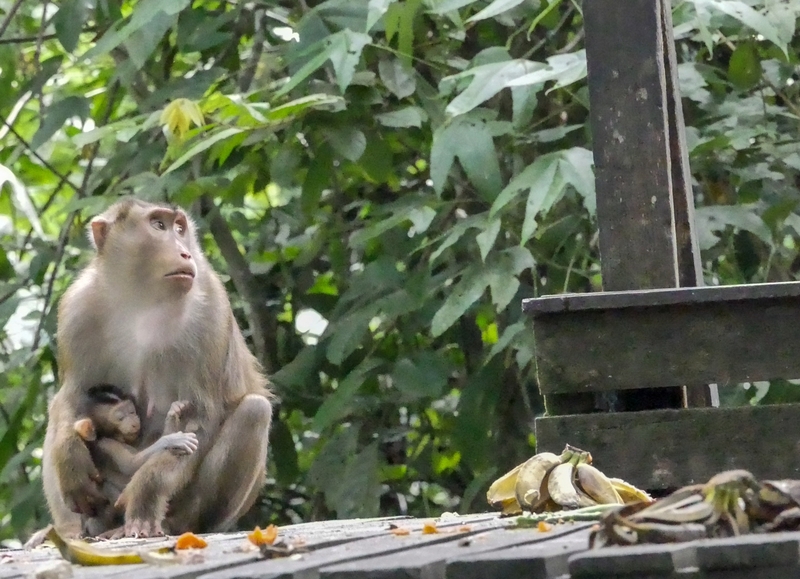 They are then released into the surrounding forest reserve area, returning to the centre’s feeding platforms for supplementary food until the centre feels they have been fully rehabilitated and can be returned to the wild, deep in the forest or to one of the country’s national parks. 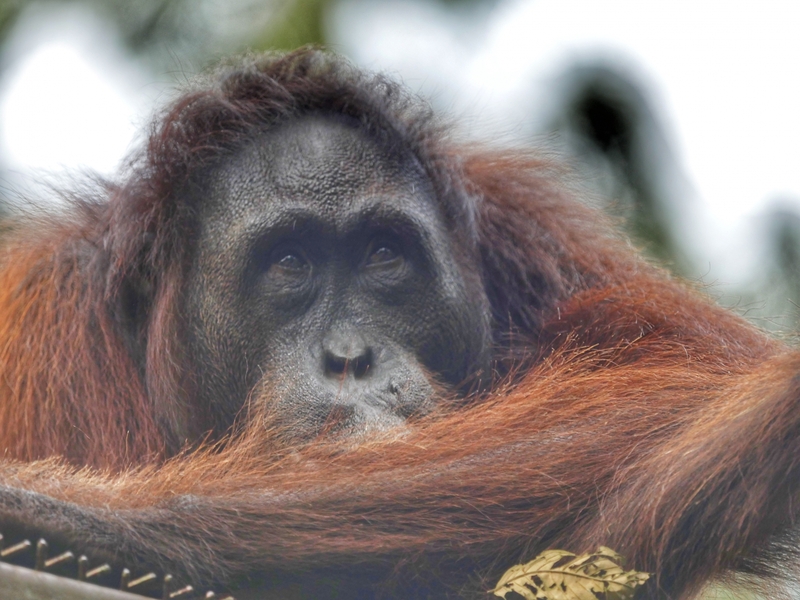 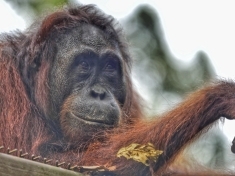 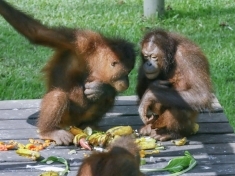 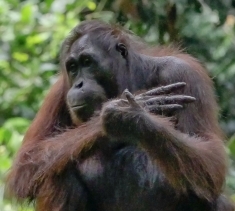 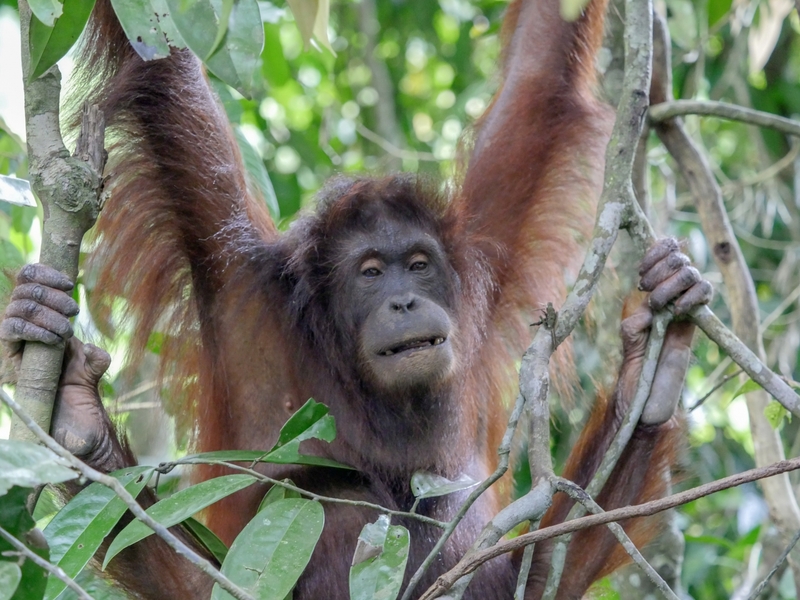 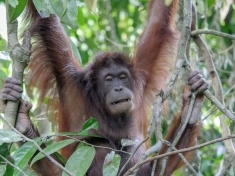 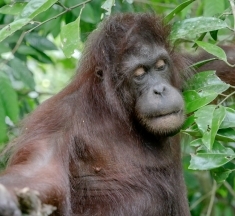 These intelligent orangutans live most of their lives in the trees. 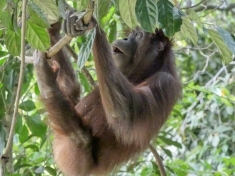 Seeing a large and powerful orangutan nimbly swinging through the trees by their long arms was certainly a wonderful sight.